Quality and Superior Flavor describes my experience with Vigalante Coffee Company. It was immediately clear that passion is the driving force behind what they do. 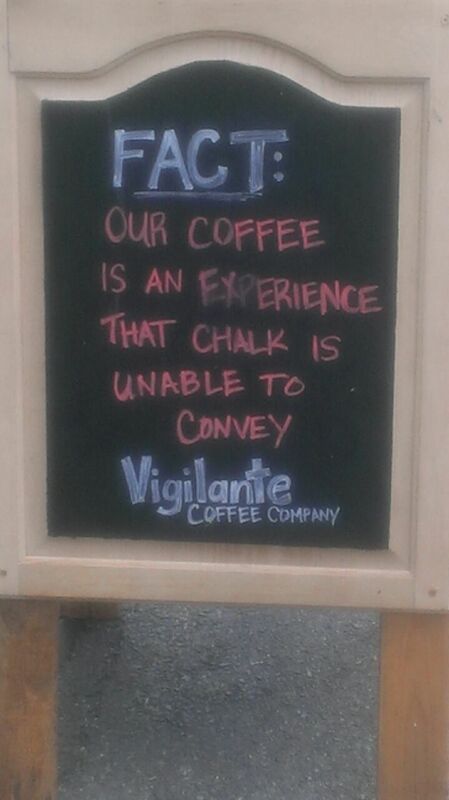 You may ask…What is Vigilante Coffee Company? What do they do? What sets them apart? Well, I’m glad you asked. First, the coffee beans come direct from farmers. Secondly, they roast the coffee beans on site! Thirdly, they educate. The Baristas show great excitement while serving up the best cup of coffee. All of this equals to an Esspressotrip! Wouldn’t you agree? Vigilante is a big “warehouse like” space with garage doors, wooden beams and wooden tables. The open-rustic atmosphere is all one needs when the focus is roasting, brewing, and pouring over fresh coffee drinks. As much as I love coffee, I had NEVER had a cold brewed coffee before! I know. It seems strange. 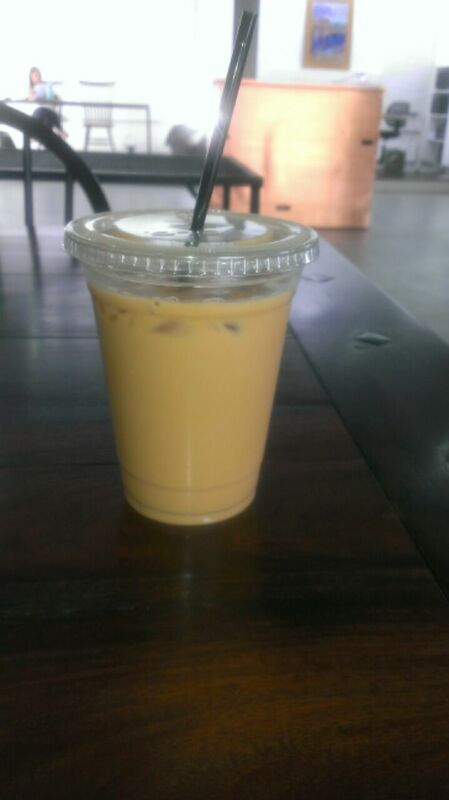 Well , the Barista convinced me that the rich taste would be like no other Iced coffee. He was right! It was Strong and Bold…but yet smooth and velvety. I am looking forward to my next visit to Vigilante. If you are in the area, be sure to visit. The proprietor is doing it big and doing it right. Categories: Uncategorized | Tags: coffee, coffee beans, coffee house, farmer, Hyattsville, MD, Washington DC | Permalink.